StartUs Insights' model covers the cutting edge of startup-driven innovation in the mobility industry. This in-depth research is backed by the company's proprietary data-driven innovation scouting approach in which it analyzed more than 8.000 startups to identify key innovation areas. The Mobility Innovation Map includes eight emerging technologies and the startups driving them. Through the integration of the Internet of Things (IoT), connected cars are capable of providing valuable services to drivers and relevant information to companies. As connected cars transform into viable sources of data, they enable predictive and preventive maintenance tools (think on-board-diagnostics (OBD)). Taking this concept further, vehicles can be equipped with sensors and electronic control modules, vehicle-to-vehicle (V2V) and vehicle-to-infrastructure (V2I) communications, making them sufficiently aware to avoid accidents or call emergency services in the event of an accident. For mobility companies, big data produces a great amount of data through features like diagnostics, user experience tracking and driver assistance systems "“ currently estimated to be situated at an impressive 13â‚¬ billion. What is more, big data provides the necessary information for the development of emerging technologies and - in collaboration with predictive analytics or machine learning - proves to be effective in planning maintenance and managing transport networks. Shared mobility offers a vast variety of opportunities ranging from car- to bike-, ride- and scooter-sharing among others. Car-sharing alone is expected to be responsible for 4.7â‚¬ billion in annual revenues by 2021 with Europe dominating this field. This results in manufacturers changing their mission statements by incorporating new business models or providing mobility services themselves. Much progress has been made in Augmented Reality in recent years with applications like head-up displays currently being perfected. To date, they are capable of presenting warnings, alerts, and safety aids on invisible screens which are embedded in the vehicle's windshield. But AR is not limited to ground vehicles alone - as aircrafts strive to achieve greater speed, companies can consider the complete exclusion of windows as a means of attaining sturdier planes, capable of handling such speeds. Innovative technologies also offer advancements to the manufacturing side of mobility: Trading the steel in a vehicle's body with a lighter alternative such as carbon fiber or other advanced materials, reduces consumption significantly. While these materials reach the weight requirements, they do not sacrifice safety in exchange. The implementation of lightweight materials is soon to come, while over a medium timespan, 3D Printing (or Additive Manufacturing) is expected to play a key role in improving the process of designing and assembling vehicles, leading to an overall greater performance. Though advanced infotainment (or next-gen infotainment) in cars is in not yet used to its full potential, it is estimated that a value of 5â‚¬ billion per minute can be created - conditional that all passengers access mobile media content during the average 50 minutes per day spent traveling. This creates an opportunity for broadening the target group for both on-demand media services as e.g. Netflix or Amazon as well as a space for further business model diversification for OEMs and Tier suppliers. 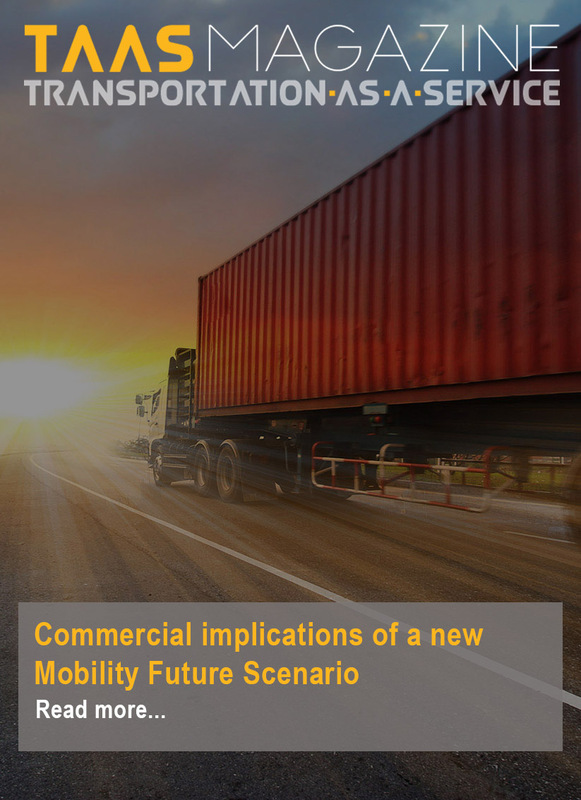 Moreover, once autonomous vehicles are the norm, they will be skilled to pick up delivers while on their way to passengers thus further increasing the comfort provided by mobility companies. MaaS offers consumers the possibility of accessing a variety of vehicles by using the same digital platform rather than just car-sharing or another form of vehicle sharing. This creates the space for multimodal transportation platforms allowing travelers and commuters to optimize their trip by benefiting from different types of transportation. Through exclusively using their smartphone and an app, consumers are empowered to handle all aspects of their journey - from planning to payment. In 2012, the laser sensors used in Google's autonomous cars cost a staggering 62.000â‚¬ while three years later, the price dropped to a mere 6.200â‚¬ leading to the overall cost of mass production for autonomous cars becoming much more competitive. Currently, it is still unknown when autonomous cars will enter the mainstream due to the existing technology gap and the regulatory framework. However, we can already see applications in public transportation and on-demand services. In the future, driverless cars will contribute to traffic optimization and passenger safety. Meanwhile, the automotive industry takes a step in between by introducing advanced driver assistance systems (ADAS). - German PACE Telematics' solution allows for a car to transform into a hustle-free smart car by connecting a Bluetooth adapter to a smartphone. This system enables nine functions, among which calling for help in the case of an emergency and providing information on the cheapest gas station nearby. - Tel-Aviv-based Otonomo develops a marketplace and exchange for car data. Automotive manufacturers are equipped to monetize car data and share it, enabling them to provide their customers with new services. - British FiveAI accelerates the development of autonomous vehicles by creating a software relying on machine learning to achieve full autonomy. High-resolution cameras, LIDAR, IMS, radar, ultrasound, audio, and GNSS are used to understand the car's environment. - Swiss startup WayRay works on the implementation of augmented technologies in vehicles. By developing holographic navigation systems, they support advances in connected cars. In 2017, WayRay was the first to introduce a holographic AR infotainment system aimed at self-driving cars. - French Heetch targets people who use public transport during the day but are in need of a taxi at night. The startup offers a ride-sharing alternative to taxis, brought to life specifically to address mobility needs late at night. - Finnish MaaS Global develops the app Whim which quickly shows the best route from A to B with just one click by combining information of the public transportation system and private partner firms. - Danish startup ECOmove aims to find an alternative to steel chassis thus making an effort to reduce vehicle weight to make electric cars more feasible. Their solution entails a carbon-fiber lightweight chassis that is not only lighter but provides the car with greater strength and stability. The innovation areas mentioned in the Mobility Innovation Map together with Sensoric, Artificial Intelligence, Virtual Reality, Gamification, and Cyber Security challenge existing structures and transform the entire industry. As demonstrated, startups are in the front seat of emerging innovation areas and disruptive technologies thus collaborating with them is one way for companies to emerge as industry leaders. To conclude, innovation in mobility will benefit the consumer and the environment as well as the automotive industry itself - when executed well.